The diagram below shows how electronics OEM executives reduce costs and save money by outsourcing to contract electronics solutions providers vs. keeping manufacturing and related activities in-house (outlined in red). Each of the seven columns (headers outlined in blue) represent increasingly embracing a vertically-integrated outsourcing model to further reduce OEM materials cost. (For column seven in the diagram above, read more about purchasing economies of scale here.) And you can see other internal OEM costs are also reduced as the outsourcing OEM program moves internal the contract solutions provider: columns one through seven, above. Read more detailed writing on costs reductions for OEMs working with vertically-integrated electronics services providers here. You also can learn more about the contract electronics quote process and strategy during the OEM RFQ process here. Our white papers are based on our unique industry perspective and available nowhere else online or in print. These items are tightly managed and available for OEM registered users only. Our OnDemand slides also contain helpful, supportive links with additional informations to help OEMs make more informed decisions. OEMs can access here. To access full slide deck for RFQ best practices for EMS manufacturing related to the image at left, go here to request PDF. We offer these documents containing valuable knowledge to all professionals, saving you both time and money. 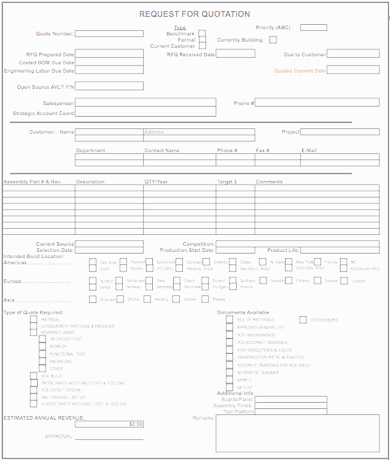 Any website visitor can purchase our documents. Take a look! Read what other readers and registered users say about VentureOutsource.com and OEM Community, online events, plus noteworthy mentions of our content cited in news and industry research. Read reviews of our content, and see some examples how universitites, think tanks and others reference our content on this page. Advanced search for finding electronics services providers. Search providers by multiple criteria including services offered, end markets served, geography and keywords. Page includes helpful information with links further explaining electronics industry best practices, strategy and more. List of 17 popular articles and document content to help electronics OEM decision makers better drive the narrative when seeking, engaging and selecting contract electronics design and manufacturing solutions partners. From the request-for-information (proposal) phase and request-for-quote (RFQ) to EMS quote reviews and proceeding through to the selection of your electronics solutions partner plus suggestions on ways OEMs can announce awarding the business and post selection management of EMS partners. Best practices for electronics planning, sourcing, forecasting including material liability and risk management, long lead times and shipping schedules management, developing core suppliers, and more. New product introduction (NPI) including information on bottlenecks, a flowchart on trouble areas regarding BOM management, avoiding pitfalls with electronics NPI programs going to market, and more. Enterprise resource planning (ERP) and managing your manufacturing in the cloud including comparing ERP software vendors, ERP issues specific to outsourcing electronics, manufacturing trends in ODM white box servers and storage product, and more. Intellectual property (IP) protection, global outsourcing electronics (ex. China) including global IP strategy, creating regional electronics manufacturing and product markets, interaction with Chinese government owned enterprises, formulating strategy and negotiating with Chinese business leaders, and much more. 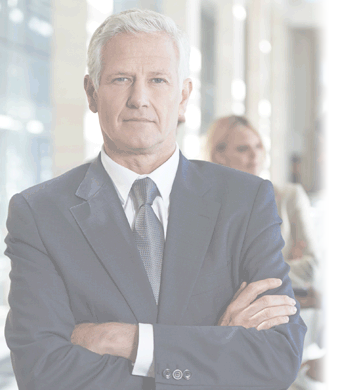 Decision-making when selecting providers, contract agreements strategy and formulation including cost reductions and cost containment, purchase price variation (PPV) goals and management, EMS/ODM financial due diligence, and more. Box build and printed circuit board assembly (PCBA) line best practices including surface mount technology (SMT) line operations and PCBA management, production line downtime management, mechanical assembly and systems integration management, and more. Program management electronics manufacturing best practices including program management daily activities, managing defense prime contractors and electronics services providers, programs transfer management and tools, how to drive manufacturing teams to improve quality, distributing manufacturing quality alerts across global teams, and more. 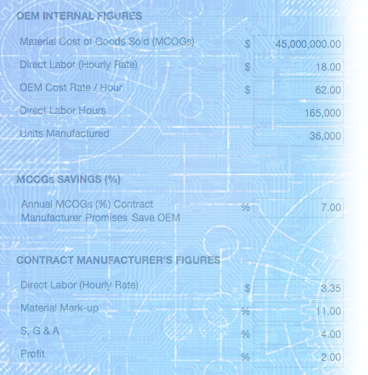 OEM Outsourcing Calculator. This calculator can help OEMs uncover hidden costs. Enter and change variables to see how different scenarios are impacted. EMS industry glossary. An ongoing list of terms and definitions in industry. Let us know what we’re missing. We’re always open to your suggestions and feedback. On this page you’ll find various categories for specific content on our site. Each link directs you to a page that reveals articles in that category or sub-section. You can also suggest a new category, access our sitemap, submit articles for publication, and more. 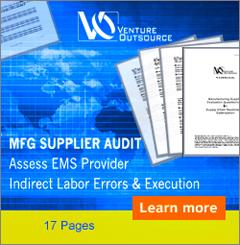 VentureOutsource.com offers a free service to OEMs to help you match your outsourcing program with quality provider capabilities. Our Advisors are available to speak with you toll-free (888) 860-1193. Read more here.